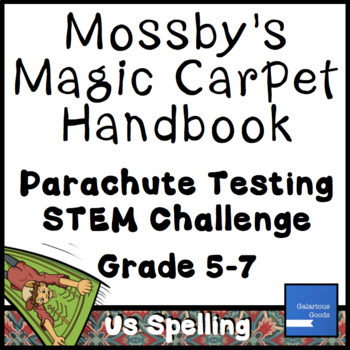 Engage students with a STEM challenge and dig deep into Mossby's Magic Carpet Handbook by Ilona Bray. 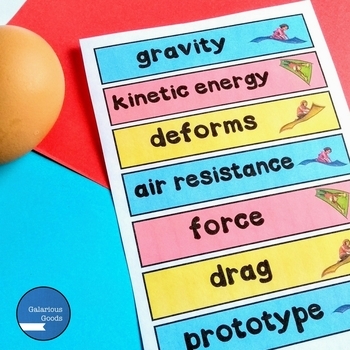 This activity challenges students to create their own parachute to use with an egg, while exploring physics through kinetic energy and air resistance (drag). Images created by Alejandro Lee are used with permission from The Innovation Press. This resource is written in US English and available as a PDF file in Letter format, 10 pages long. ✫ Students will require copies of the four pages of the Student Learning Booklet (Pages 5-8). As they don’t need to be written in, students can share them to cut down on printing. These can also be copied back to back on paper to reduce paper use. 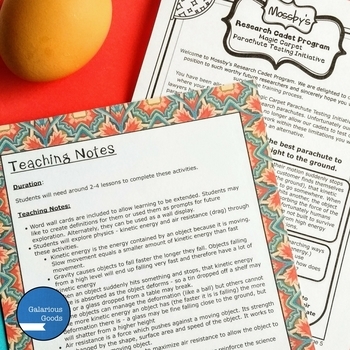 ✫ Students will brainstorm and develop lists of other materials they may need. You may wish to set limits on these before they begin. Their lists may include different types of paper, fabric, plastic bags or sheets, string, wool, tape or glue. 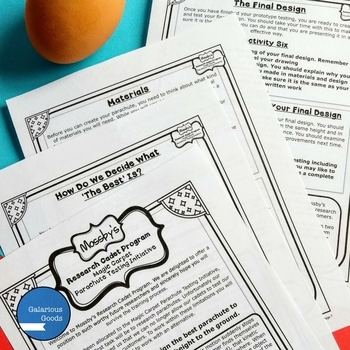 ✫ For the final design, students will require an egg to test. Although an uncooked egg is a greater challenge, you may prefer to use a hard boiled egg for easy clean up and possible reuse. Students are encouraged to use an alternative to the egg (a ball or toy or something of a similar weight) for their prototype testing. ✫ Students may wish to use a camera to take photos or videos of their testing. You may wish them to present their information as a digital product.